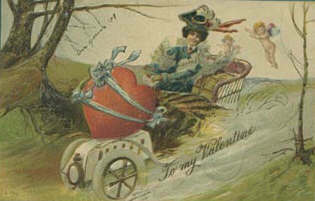 An Old Louisville Victorian Valentine for you! Tis a Heart of Pansy Bloom All made of thoughts sublime .......... Will't be my Valentine"
"This little tribute which I send I hope you will receive and keep it for the sake of one who never will decieve." 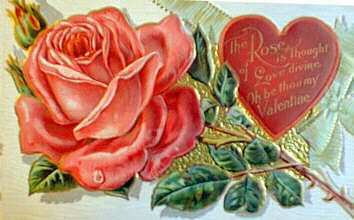 " The Rose is thought of Love divine. 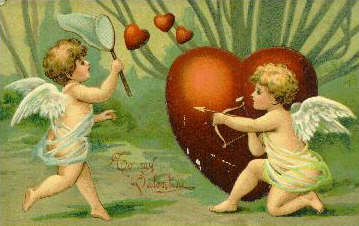 Oh be thou my Valentine"
Here's to those who love us - If we only cared. Here's to those we'd love - If we only dared! 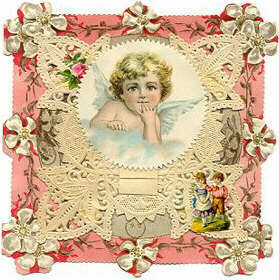 Delightful unsigned Valentine's card from the 1890s. "To my Valentine. As a slight token of esteem accept these lines from me; so plain and simple , they do seem unworthy such as thee -- but soon these traced lines will face and disappear -- 'tis their doom; May you, unlike them, be arrayed in perpetual bloom." In Victorian times, the symbolism of flowers was widely understood. A lady could read a bouquet as easily as a verse. Now really show your beloved that you care!